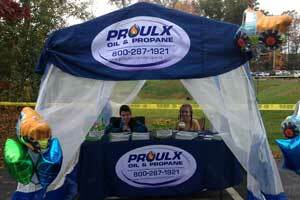 The management and staff at Proulx Oil & Propane know the importance of helping our communities and organizations. 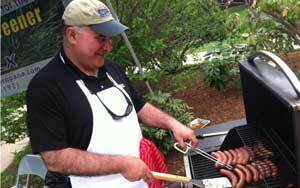 Over the years, we hopefully have touched many lives through our generosity and will continue to do so. Proulx Oil & Propane is proud to partner with the American Cancer Society (ACS) Making Strides Against Breast Cancer with our Pink Truck Campaign. The Pink Truck campaign heightens awareness of the need for early detection of breast cancer and directly supports those in our local communities who may be uninsured or underinsured and need financial assistance for diagnostic tests including mammograms. 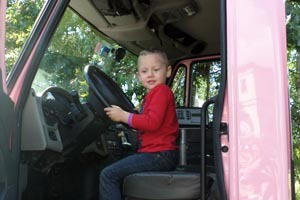 When customers receive a propane delivery from the pink truck, Proulx will donate a portion of each sale to the ACS. 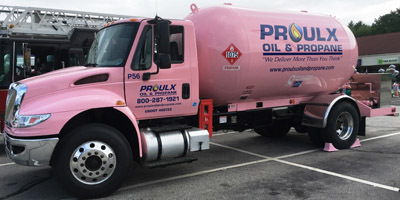 "We associate our pink truck with strength and support for people who have been affected by breast cancer," says Jim Proulx, Proulx Oil and Propane's president and CEO. "This cause is one that's very important to us, and we know that on the road to recovery, you can never have too many people in your corner." Delivering for a Cause- Propane Companies Raise Funds to Support Breast Cancer Awareness, Research, and Treatment Year-Round - article in Butane-Propane News!